LEXINGTON, Ky. (Oct. 23, 2015) — Flanked by Gov. Steve Beshear and legislative leaders, University of Kentucky President Eli Capilouto Friday announced the beginning of work on a research facility unique in the country — a building dedicated to addressing health challenges and disparities in Kentucky. "Today, we commence building — not for ourselves, but for the future and the health of the Commonwealth of Kentucky," Capilouto said. "We have said that it is time for death to be a beggar in Kentucky. Today, we mark in a tangible and real way our intent to deliver on that promise." 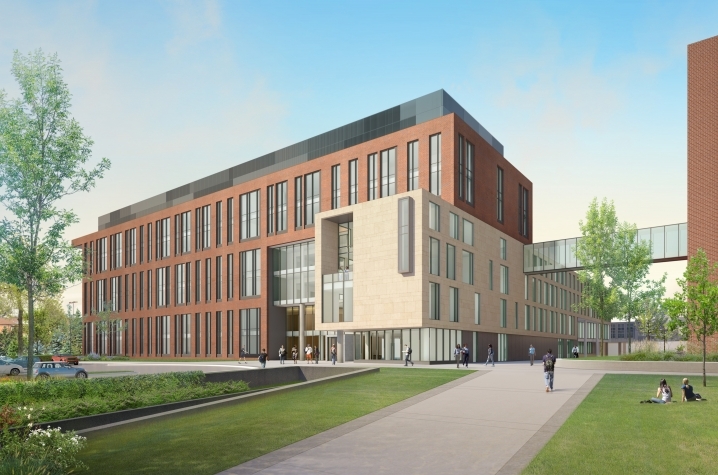 The research facility — scheduled for completion in spring 2018 — is a $265 million building. Half of the funding for the facility is coming from the state of Kentucky; half is coming from university resources, including private gifts. “This project represents the potential to improve the lives of so many, both within Kentucky where our health outcomes are so poor, and beyond,” Gov. Beshear said. “I’m proud to have worked with lawmakers from both parties to sign legislation authorizing the construction of this multidisciplinary research building at the University of Kentucky that will help reduce Kentucky’s unacceptably high rates of preventable diseases and deaths. Our entrenched health problems won’t improve without major investment like this project, which will complement the lifesaving efforts at the Markey Cancer Center and its designation as a National Cancer Institute. "Naturally a legislator does things that have an impact in their districts but for the state as a whole I know of nothing in my 19 years that will have a state at large impact on health and health care as this new research facility," said Robert Stivers, president of the Kentucky Senate. “By investing in this state-of-the-art research facility at the University of Kentucky, we are investing in Kentucky and the health of our people,” said Rick Rand, chairman of the House Appropriations Committee. “Improving health will save lives, improve our economy, and strengthen communities. It is a direct investment in the future of our Commonwealth." · Its focus on Kentucky challenges, particularly health disparities in areas such as a cancer, diabetes, heart diseases, drug abuse, and other health conditions where the state is among the country's leaders in incident rates. · Its fostering of multidisciplinary research across numerous fields — health care researchers (both basic and clinical), public health, behavioral sciences, agriculture outreach and extension, economics and engineering — working in close proximity and collaboratively to develop solutions to these complex problems. A fact sheet with information about the design and building's focus can be seen here. The design and focus of the building come with a specific scientific underpinning. "We know that so much of discovery today — whether at the cellular or community level — happens at the intersection of disciplines," said Lisa Cassis, UK's vice president for research. 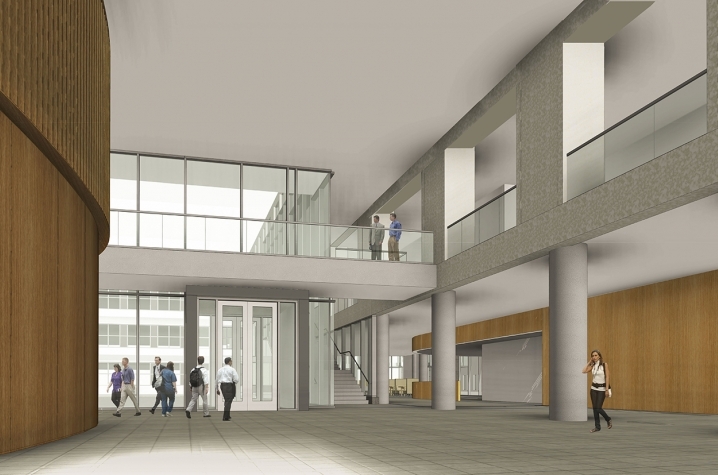 "This facility is being designed to foster discovery and collaboration so that what happens in labs and in the course of basic research can be translated to answers and solutions at the community level." Specifically, the new facility also will focus work and attention on health disparities in Appalachia, a region with some of the most pronounced rates of chronic diseases in the country. UK is a founding sponsor of the SOAR (Saving Our Appalachian Region) initiative, sponsored by Gov. Beshear and Congressman Hal Rogers, and has more than 300 actively funded research projects in the region. 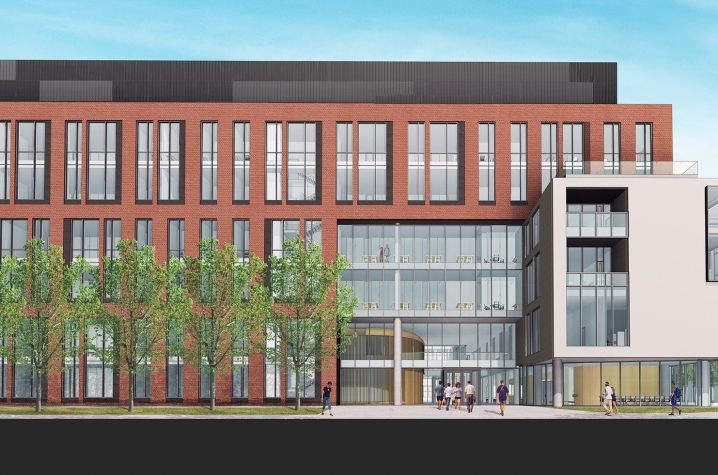 The new building will be linked to other major research space in the heart of the campus, the Bio-Pharmacy Building and the Biological Biomedical Research Building, further fostering collaborative and multidisciplinary work. Being referred to as the “Appalachian Translational Trail” this connecting conduit will house the nucleus of translational researchers who bring together all disciplines. "Last year, almost to the very day, our Board of Trustees along with President Capilouto issued a challenge as part of an ambitious vision to address our state's most pressing questions and needs," said Britt Brockman, chair of the UK Board of Trustees. "We challenged the university and our partners at the state to help us build the kind of cutting-edge facility that would help talented researchers, clinicians and scientists work in collaboration in defeating disease and disparity. "Today, even though we look toward a horizon with still so much work to do, we know what is possible because of the progress we are making in partnership with each other." Just use the password “ukresearch” to access this video. For any other video needs for this story, contact Amy Jones-Timoney, aljoneb@uky.edu, 859-257-2940.